The Miners started the new season with a win, having claimed a home win over Olimpik. And despite the sole goal netted, Serhii Shyschenko’s men had an undeniable playing and territorial advantage. The only goal was notched up by striker Andrii Kulakov, who was brought through on goal by Oleksii Kaschuk. During the summer break, the team squad has changed markedly. Defender Nazarii Muravskyi and midfielder Andrii Stryzhak debuted in the game vs Olimpik. Kyrylo Melichenko, Dmytro Pavlish and Dmytro Krys’kiv got places in the starting XI. The captain of the renewed team is one of last season’s leaders Maksym Chekh. In the summer, there were changes in the Dynamo coaching staff: instead of Yurii Moro zot have headed Dynamo U21, Ihor Kostyuk took charge as the team coach. Dynamo played the opening game of the season away vs Oleksandriia. The visitors easily defeated the opponents, securing two goals either side of the break – those by Tsitaishvili, Maschenko and a brace by Isayenko. Moreover, the skipper Kozyrenko failed to convert a spot kick, being sent off in the 77th minute for the second booking, being unable to help his teammates this coming Saturday. Last season, the sides met twice. On both occasions, Lady Luck shone on the Kyiv side. - The Shakhtar vs Dynamo rivalry causes increased interest at any level. We seriously prepare for the upcoming meeting. We are preparing in the same mode as we did for the meeting with Olimpik. We will play to win only, trying to implement on the pitch everything we practised in training, so that our actions will eventually secure a positive result. I think the match itself will be good, with great tension and emotions. We are really looking forward to it. 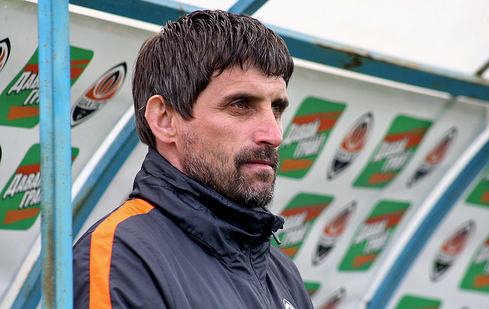 With Serhii Shyschenko at the helm, Shakhtar U19 did not lose a single away game, claiming five away wins with aggregate goal difference being 15-4. With the new mentor, the Miners never left the field without netting a goal. The Miners’ scoring streak involves 10 games and 25 goals. Sign up to the FC Shakhtar accounts on Telegram and Viber and follow the games of U21 and U19 teams online.